Sleepy Andy Tracy was born into a musical family and spent much of his youth listening to his father's extensive record-CD collection. Both grandfathers, dad and a couple uncles were musicians and passed down that legacy; a legacy that continues with Sleepy's own children. Tracy has been a member of several bands, including Blue Caboose, Eazy, and the High Five, as well as playing solo and with slide guitarist, Jeremy Francis. He has received some airplay, in 2008 with the song, Government Bailout Blues, and has opened for the Emmitt-Nershi Band (solo) and David Gans (with Francis). 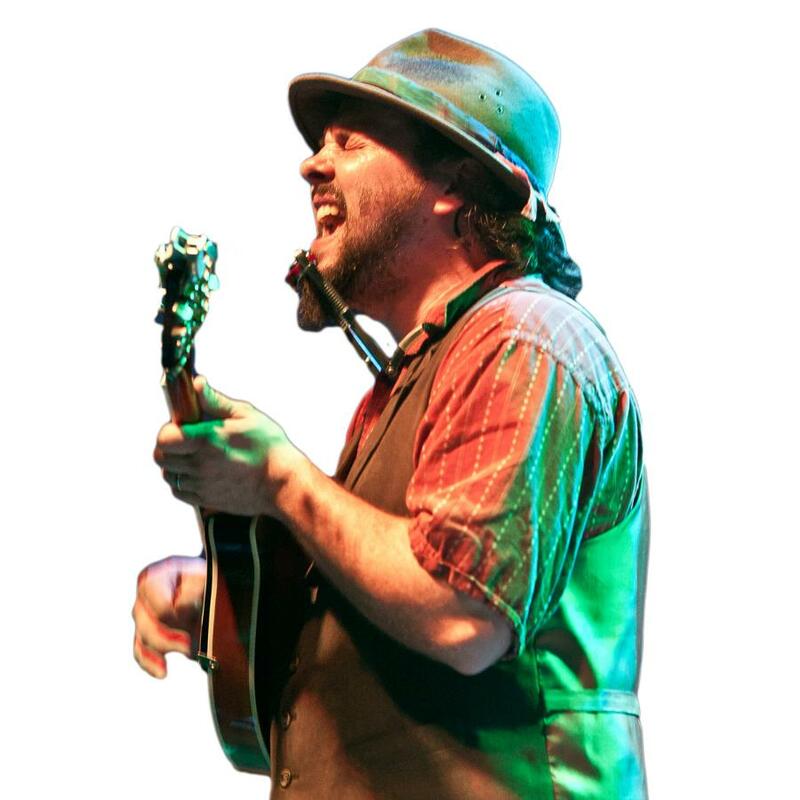 With Blue Caboose, Tracy has headlined the Canoegrass Festival 3 years running, and has been a regular performer at Metamora, Indiana's Strawberry Days and Old Time Music Festivals for several years. With his current project, Already Home: Songs of the Smokies, Tracy has collected some of his original Smoky Mountains tunes and plans to bring them to your neck of the woods. Sleepy will be heading to North Carolina this Fall, for a series of shows and will be traveling more extensively in 2016. Starting his music career playing the clarinet at the School For Creative and Performing Arts in Cincinnati, Tony has been playing music of one kind or another for over thirty years. He attended the OSU School of Music on scholarship for clarinet, where he learned to play the guitar. Becoming enamoured with the Prog Rock scene, Tony had drifted in and out of various bands throughout the years, including Shake and The Zen Lunatics, who performed at various music festivals, bars and private parties over the years.
. In 2009, he began playing with the idea of a career in music. Going solo as a singer/songwriter, he performed a number of gigs and political rallies, but the highlight of 2009, was being asked to perform on a radio show in Honolulu, Hawaii. 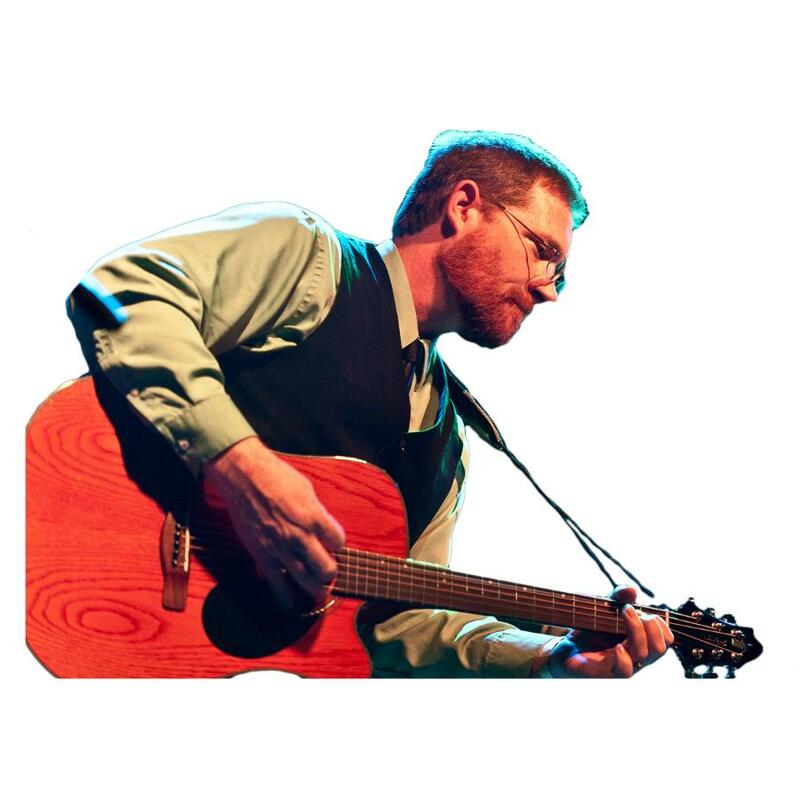 Since the creation of Blue Caboose, Tony's writting has jumped levels, both professionally and emotionally, and he has been peforming shows both with Blue Caboose and solo over the entire Greater Cincinnati Area and beyond. Marty’s love for music began with the saxophone at age 11. At age 19, he began learning the piano and soon became the keyboardist for the band, The Perfect Norm, where he gained his first studio credit on their album, Breakfast Sampler. At the CD release party, held at Play by Play Café, they sold out the venue with over 400+ people in attendance. Soon after he performed on Bengal's Nation on channel 12 with Perfect Norm. He helped organize a number of musical festivals including being the stage manager at the Perfectly Normal Festival in the summer of 2010. Marty left Perfect Norm in order to pursue a Master's degree and to focus on becoming a better musician. Marty is currently a member of the University of Cincinnati's Men's Chorus and taking jazz piano lessons at CCM.